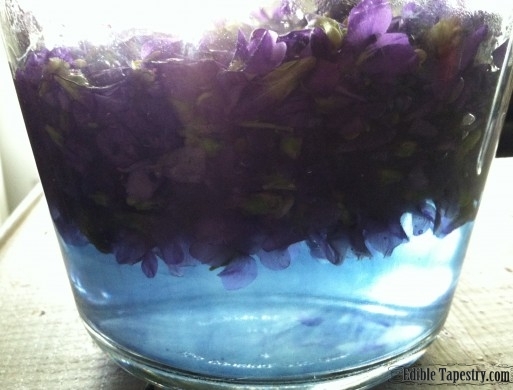 My friend makes this amazing wild violet jelly. 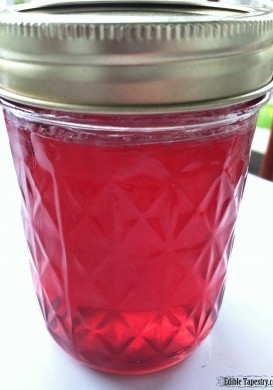 I’d never seen anything like the gorgeous pinky jelly she sold, and still sells, at our local farmers market. But when I tasted it for the first time, I realized I had tasted something like it before. It instantly took my back to age 3 when my dad and I were riding through rural Central Florida and saw a roadside farm stand up ahead. He bought fresh, raw honey, a loaf of freshly baked whole wheat bread, and something else that he lets me taste right there on the edge of the road. 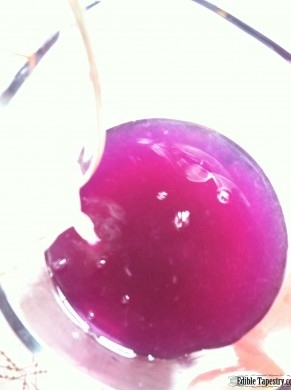 I have no idea what it was, but my friend’s violet jelly tastes just like it. 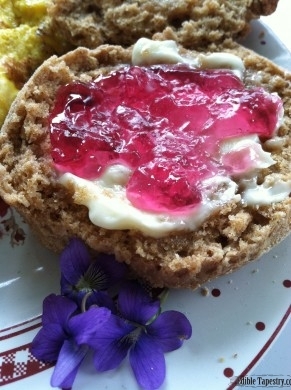 I’m wondering now, as I think back to the taste of the honey and fresh bread, if I became a foodie right then and there. Probably. I don’t think I have any earlier food memories. But, like Edmund in C.S. Lewis’ The Lion, the Witch, and the Wardrobe, when he has his first taste of the White Witch’s enchanted Turkish Delight, as I stood under the awning of Jane’s booth at the market with a tiny taster-tester spoon still in my hand, I knew I needed more. More and more and more. I bought a jar. It didn’t last long. I bought another one and gave it away in a drawing for the blog. 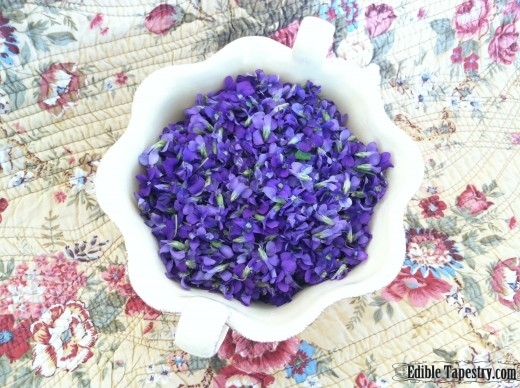 I went home and picked oodles of violets and made an infusion so that I could have jars and jars of the stuff lining my pantry shelves. 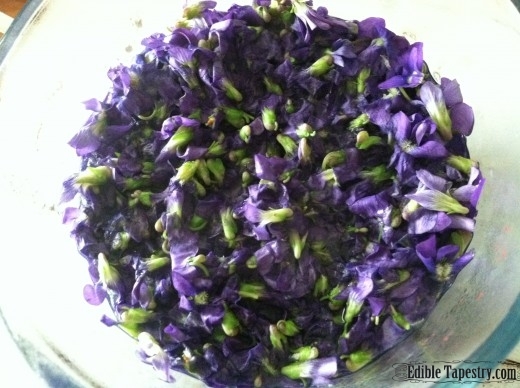 But then I got busy with my own farmers market preparations and forgot about my violet infusion. And then the violets were gone for the year. 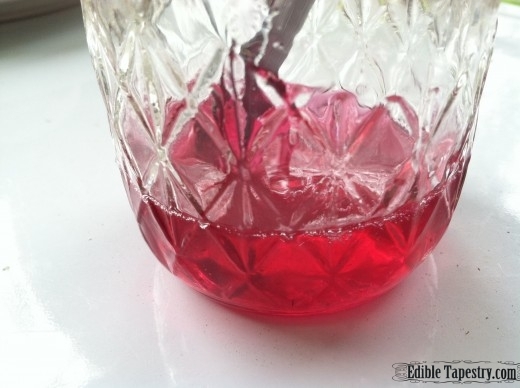 And then…and then…and then…two years later I finally have violet jelly on my pantry shelves. I already had my infusion going when I consulted Jane to see if my estimated proportions were too far off to make a good jelly. Turns out I used twice the amount of flowers she uses, and more water, so I was worrying that it might not set. 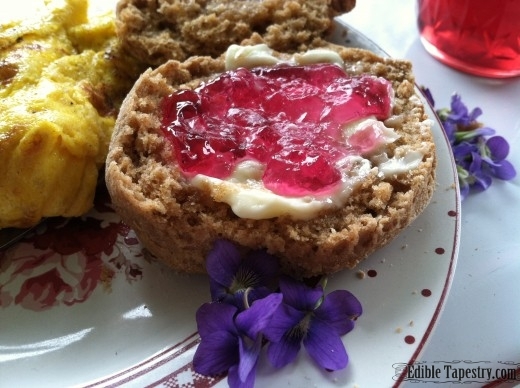 It jelled very well and ended up a beautiful ruby red, kind of like the crab apple jelly I made in the fall, but still had that bright pink hue I love about Jane’s jelly when I spread it on a biscuit. 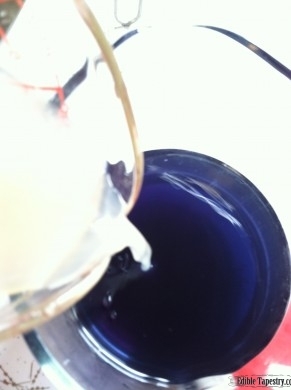 The infusion starts out a true violet blue when the hot water is added, and smells like cooked lima beans, oddly enough. I really kind of wish it stayed that blue color. It’s gorgeous! 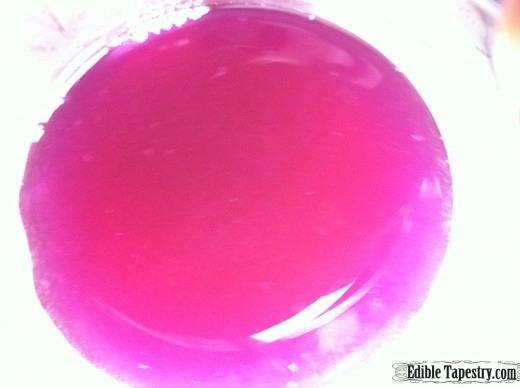 But as soon as you add the lemon juice, it changes to an incredible pink color. I love this part. It takes me back to my Fundamentals of Cookery class in culinary school, when our instructor had us add different chemical compounds to different brightly colored foods to see how they would affect the colors. I remember from that experiment that red cabbage does the exact opposite of violets when you add acid. It goes from fuchsia pink violet blue! Pretty cool stuff. I think next year I will try a batch without the lemon and see if it stays blue, and if the flavor of the finished jelly is more flowery without it. 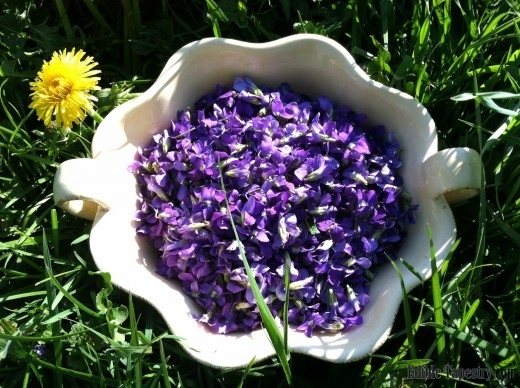 I also plan to try my recipe with rose petals and dandelions. 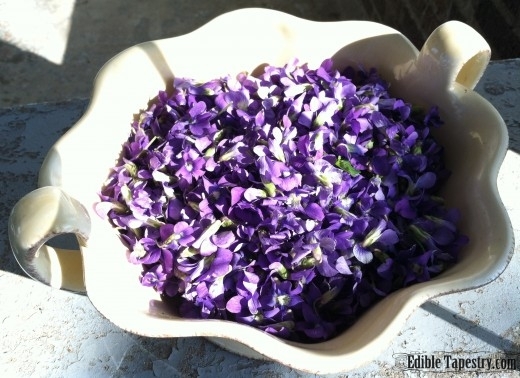 Pick stems from foraged violet blossoms. Place them in a heat-proof glass or stainless steel container. 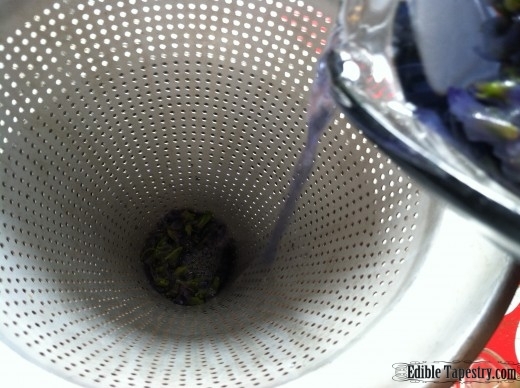 Pour boiling water over them to make an infusion. Steep 2 hours. 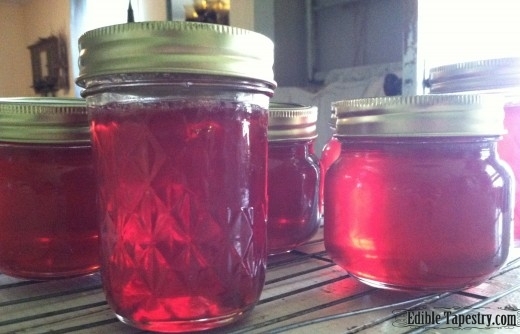 I sterilized my mason jars, rings, and processing equipment during this time so that they would be ready as soon as the jelly was. Strain the liquid into a medium sized saucepan. 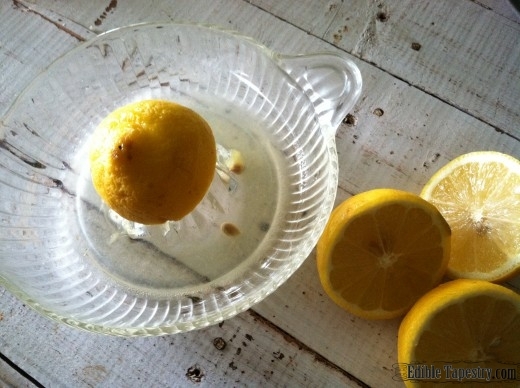 Add lemon juice to the infusion. Stir in the pectin. Bring the mixture to a boil. Continue to boil for one minute. Stir in the sugar and return to a boil. Boil one minute, stirring occasionally. Ladle into sterilized jars and process. I put mine in a water bath for 10 minutes and then let the processed jars cool on wire racks to seal. « 6 Iconic American Roadside Attractions with Some Fabulous Frozen Custard on Route 66.